PALM SPRINGS, Calif. — Individuals on methadone-maintenance treatment that reported higher pain severity were more likely to perceive their methadone dose as being too low, study findings indicate. “Our findings suggest that this population might be experiencing hyperalgesia or also maybe just that their pain is under treated, which is a possibility especially for people who use elicit substances,” Pauline Voon, RN and postdoctoral candidate in the School of Population and Public Health at the University of British Columbia, said during a poster session at the 2015 American Pain Society Annual Meeting. “This population is often stigmatized, and may not be getting the proper care for their pain,” she added. Often clinicians tend to think that methadone is used either for addiction or for pain, and not together, but there is a huge overlap between the two. An estimated 40% of people on methadone-maintanence treatment also have a chronic pain diagnosis and more than half of these patients report moderate or extreme pain. To better understand the prevalence and correlates of pain among opioid-dependent individuals on methadone-maintenance treatment, Voon and colleagues analyzed data from two prospective observational cohorts of illicit drug users in Vancouver, Canada — the AIDS Care Cohort to Evaluate Exposure to Survival Services (ACCESS) and the Vancouver Injection Drug Users Study (VIDUS). In the final analysis, 823 participants were included who had completed an interview between Dec. 2011 and Nov. 2014 and reported being on methadone-maintanence therapy at the time of their interview. 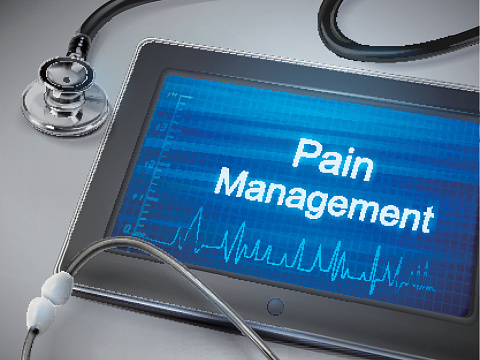 Overall, 339 (40.9%) reported moderate pain and 91 (11.1%) reported extreme pain. “Previous studies have shown that people who self-manage their pain may be using heroine or prescription opioids, so this is a risk population that clinicians can help look out for,” Voon said. In addition, the findings suggest that opioid-induced hyperalgesia may also be a problem for patients on methadone. “It’s still quite controversial right now especially with methadone, researchers don’t really know if this is occurring in these patients, because methadone is just a partial agonist,” Voon said. She said the findings present several avenues for future research, clinical intervention, patient education, and alternative analgesic approaches for patients on methadone-maintenance treatment. Voon P et al. Poster #142. “Correlates of pain among high-risk patients on methadone maintenance treatment.” Presented at: APS 2015. May 13-16, 2015. Palm Springs, California.